Some designers are trying to make such image cool – even transform one into a piece of art, but that’s not easy to do especially for small businesses who can’t afford to hire one. But in 2013, there is a startup that sees the gap in the market – and launches a powerful tool that makes ugly QR codes pretty: Meet Visualead. QR Codes, despite considered as waste of time by many business people, are actually awesome marketing tools – like this one. Popular in Japanese and South Korea, QR code is now accepted as a great way to drive interest to a business – thanks to the growth of smartphone ownership. But we need more ways to improve the conversion of QR codes. A better-designed QR code can help. The problem is, hiring someone to make prettier QR code doesn’t come cheap; most small biz owners can’t afford the price tag – especially to test whether QR codes work for them. As you can see, Visualead redefines QR codes. While more people are getting used to the one on the left, what’s on the right is the real deal, offering unlimited possibilities for you. At this moment, Visualead has launched its second generation visual QR code design. 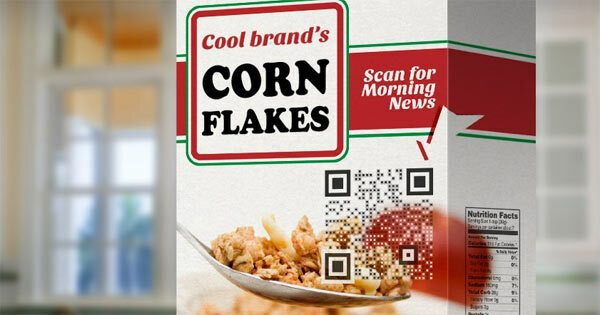 The third generation tech will feature nearly invisible QR code, turning QR codes into the ultimate marketing tools – and it’s currently under development. I mean, wow… that would be game changing. No more ugly QR codes. Period. So, how much is it? How does it work? But if you want better QR code generation plus some more perks, there are 2 paid options (“Gold” and “Silver”) and there are obviously more perks to them, most prominently the quality or QR code created: The “Gold” plan will give you the best QR code creation, while the “Silver” one will give you better quality than the free plan. Both come with analytics. You can preview the options as you create your QR code. So, how to create a QR code with Visualead? It’s very straightforward: Go to Visualead website, determine what information you are going to add into the QR code, choose any image you want, and then place the QR code anywhere you want – that’s all. No more boring QR code on your product packaging: Add visual QR code that blends well with your packaging design and boost your engagement. You can deliver news from your product package, link to your newsletter signup, or special offer for smartphone owners. Stickers have always been a way to spread some words around – on expos, on walls, anywhere you can think of. Your QR code printed on stickers is great, but unattractive. 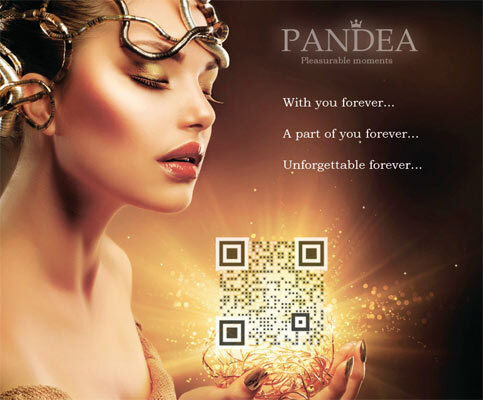 Try visualise your QR code – how about your logo? Logo stickers are common, but visual QR code on your logo in stickers makes great impressions. QR codes are commonly discovered on advertisements in printed publications, as well as on public places, such as subway stations. They often come in the form of advertisements. If your small business is advertising on local publications and want to drive viewers to your website for a special promo, blending in your QR code within your ad will attract curiosity more than the traditional black and white QR codes. When it comes to driving interest, using images has been known as an effective way to capture viewers’ attention – especially on social media: That’s why Facebook recommends users to use more images – larger is better – on status updates. That’s why Pinterest rocks. As you can use QR code to attract smartphone users to visit your physical or online store, subscribe to your newsletter and so on, it should be your best interest to make it more attractive and “scan-worthy.” Visual QR codes can offer you that and so far there is no better tool which can help you with your endeavour other than Visualead. I strongly recommend you to check on Visualead tool to see whether it can offer you a way to reach out to your customers and prospects – or not. Don’t forget to share with us what you think about the service!